IT’S MY BIRTH…wait for it…………………………………………..
A lot of changes have happened over the past months since I last wrote. A lot of mental changes and feelings and other things I can’t quite explain. At first, I thought maybe it was because I was feeling the “three-year itch” being an actress. I’ve gone into turbo mode. I am, for lack of a better word, throwing myself at people as if to say “HEY I’M ALIVE AND VERY TALENTED!!! LET ME PERFORM FOR YOU!! !” Then I thought it was because one of my most favorite movie series was being added on to and it switched on my “I don’t give a crap-fighting for what I want” mode. Star Wars was something I lived in since I was 13. Hell, I’ve even written my own stories to the series! Memorized every line of Luke’s. Wanted to be Luke, AND was in love with him. I even compare the guys I date to Luke Skywalker. THIS, alone, is proof of my obsessive compulsiveness. Or was it the fact that all my past girlfriends were married and having children, and I wasn’t. Or was it…simply…the feeling of the clock…ticking. My birthday is in a few hours. There were many moments where I felt like I should write, but tonight felt like the right moment. I have a dog sleeping in my bed right now. Tiny, white and cream colored, with long silk hair, and gentle eyes and a quiet demeanor. I rescued him yesterday. It seems like everyone was having babies…and I produced a dog. I named him Toby Lee Orion, aka (just) Toby. Yeah, so I wanted a little touch of sci-fi to the name, I couldn’t resist. I don’t know what’s gotten into me, though…I’ve never been a “small dog” person. I guess you could blame it on my whimming personality. But I feel there’s something else changing in me. I also have a boyfriend that I can’t admit is a boyfriend because the term freaks me out SO much, I immediately turn off and don’t want him anymore. But as long as he stays in the friend zone, I want him. This may also prove I’ve gone officially nuts, but haven’t seen a professional yet… He’s my Number 1 and he’s my best friend. He’s also my intimate lover. But labels really sit sourly with me…to the point of an upset stomach…to the point of me running like there’s zombies after me. EXACTLY! My mother asked me recently if my motivation as an actress has been spurred on because of the new Star Wars movies and I told her, “Yes.” As a child, I really wanted to be an astronaut. 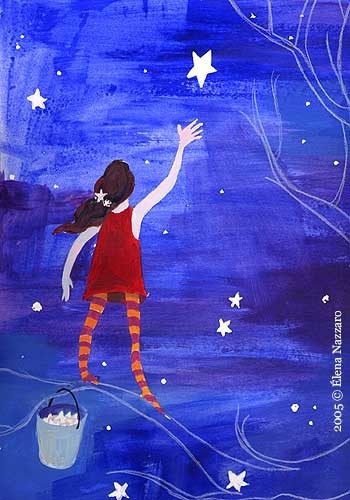 Truly, I still want to be one, but because my bad eyesight wouldn’t be able to make the cut AND when I was young I didn’t think of myself as smart enough, the dream of being in space was limited to just pretense. But an actor CAN travel space within the mind’s eye. So, yes, I know the new SW movies have become my main motivation in life. There’s nothing I want more. There really really is nothing! For the first time, I’m taking workshops with casting directors that work for J.J. Abrams, sending out headshots and resumes to people I don’t think would ever even care to look at (that’s why I’ll be sending them out every month ) , buying my first dog that acts like a fabulous stress reliever, and pulling along a fantastic guy/person because I can’t seem to relax in a committed relationship. So as a result, I have spent more money this year than I EVER have just to somehow make sense of things in my personal life and catch someone’s attention in the Star Wars world. And every bit of it has felt worth it. Because I know that if I don’t get a chance, at least I can say I didn’t try my all……in BOTH worlds. I was sixteen years old, home alone, watching Return of the Jedi. It was dusk, and I knew I would have the house to myself again, a medium-sized house in the middle of a mountain pass surrounded by nothing but forest and brush, all half dead and dried-out. I spent most of my hours alone in the Family Room, marathoning movies like Aliens and Star Wars until I’d had the entire series memorized. This night felt different. My attention was split between the television screen (Luke, Leia, and Han entering the Sanctuary Moon of Endor’s atmosphere) and the red sun sinking behind the mountainous terrain outside my window. A blanket of star-studded black inked out the red sky. Luke and Han were being held hostage by the Ewoks. I felt a wave of yearning like little pinpricks across my skin. How I wanted so much to be apart of something else, to live in a different world and time, to travel beyond the mountains and the moon and the stars. I blinked my attention back on the screen. Threepio just assisted in the release of Han and Luke’s capture, and Leia came out greeting them both. Blink—the sky was fully black with only half of the moon reflecting a soft silver light. If I wanted, I could go there. But I would have to do it now. This was my only chance. 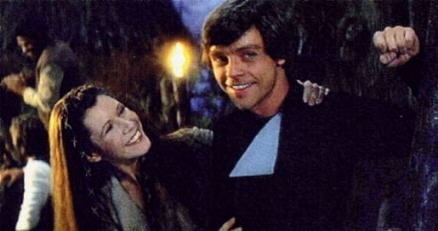 I took a deep breath, looked back at the television screen, Luke and Leia were just discovering each other’s familial relationship, and I blinked hard. I kept my eyes shut. A warm breeze floated by and the sound of night animals echoed in the distance. It smelled like pine and rich green lush, damp, with a hint of earth. I opened my eyes. I was surrounded by trees, their tops disappearing in the darkness above. Distant stars glittered faintly through the thick foliage at the top, and the animal sounds became more distinct. They were the creatures called Ewoks, their tribal calls echoing throughout the jungle of giant tree trunks. I shivered slightly, despite the warm air. I glanced down. My clothes had changed. I wore only a crude leather skirt and top, two pieces that barely covered me, and I wore sandals made of simple flatwood and string. The entire outfit looked to be more Ewokish than human, but big enough to be fitted onto me. Oh yes! I remembered. I was sent down to Endor by my father, the Emperor. I was on a secret mission, that’s right! To make certain that Vader did not betray my father and join Luke Skywalker in a revolt. I had to make sure that Vader took Skywalker to the Death Star and that he was brought before my father, so that, in the end, Skywalker and my father could negotiate a way of peace and end the war between the Empire and the Rebel Alliance. I knew that Luke was Vader’s son and so did my father. If Luke could be persuaded, the rest of the Alliance would follow. Of course, I knew the truth. I knew the Emperor wanted Luke to join the Dark Side of the Force and that my “father” was evil. But I was here now. I had to play along, otherwise they would all discover I didn’t belong. I heard footsteps suddenly, off to my right and further down a bit. It was Luke Skywalker, fully dressed in a black jumpsuit, lightsaber hanging by his side. He was moving towards the direction of the Imperial shield generator. I couldn’t believe it! It was really him! I moved to follow, quickly in order to catch up. I only made it a few steps before Luke whirled on me, his right gloved hand trying hard not to rip at his lightsaber. He was, after all, preparing to surrender to the Imperial forces. Surprise washed over his sullen face, his blue eyes glistening in the dark. “Who are you?” he demanded. I paused. Who was I, after all? I had to think up a name fast. Lee, Chris, Lilliya (no, that’s another story!) Christalee! “That is true,” he said, cautiously. But he said no more, starring at me in bewilderment, probably wondering why he hadn’t sensed me following him. “You shouldn’t go.” What?! Of course he should. “If you’re going to the generator, I’m coming with. You’ll need someone at your back,” I said. He turned and continued steadily towards the shield generator. I followed (and I couldn’t believe that I was following!). “I’m not the one needing protection,” I said. “The Empire killed my family, Luke. I have nothing left. My decision here is my own and if I choose to follow you, so that I might have a purpose in life, to face the dangers with you, to fight next to you, that is my choice.” As the words tumbled from my mouth, I was astounded. My lie was getting better and better! Luke stood there, struggling to argue back, but the expression on his face said that he felt pity. There was nothing he could argue against what I said, because he was that person too. “I don’t know why you want to do this,” Luke said. “But I guess I can’t stop you. Remember, I won’t be able to protect you.” With that, his face fell sad, and he turned to continue towards the generator. And I followed. I followed Luke Skywalker, the man with the green lightsaber. My adventure was beginning. It all happened so quickly. Once we reached the perimeter, we were surrounded by Imperial troops. They shackled Luke and me, taking us into the base. There, Vader stormed in with his usual stride. I felt his surprise when he looked upon me (that’s right! I now had the Force). He recognized me and ultimately knew I was there to watch him. He gestured for the stormtroopers to take me into the shuttle, leaving himself and Luke alone for a minute. As I sat inside the shuttle waiting, I could sense Luke’s struggle to convince his father to turn good again. The writhing battle of emotions: anger, sadness, and a strange hint of betrayal, all came at me in one blow. I choked, a wave of dizziness coming over me, and I fought back the urge to cry. I had to figure this Force stuff out fast before it overwhelmed me; it obviously took me by surprise that I had any connection at all. But of course I did! I was the daughter of the Emperor, genetically engineered to be the strongest human in the Force. I had been bred in a tube, injected with midichlorians every growth cycle. I was one of many, but the only human to have developed successfully. All the others were terminated. Soon, Luke joined me in the shuttle, Vader following a few minutes later. We took off for the Death Star. Luke didn’t speak the whole trip. But I knew what he was thinking: that this was either the end or the beginning, that he might be on his way to die, that he would fail and the Alliance would fail…that this girl next to him might die too. As soon as I changed into something more regal, a shimmery red gown, the material fitting around my sixteen year-old body in a way more appropriate for adults, I made my way to the Throne Room. I knew Luke and Vader would be there already, and I had no trouble finding this place. I reached out for Luke and found him. I also caught a glimpse of my so-called “father.” My skin crawled at the vast darkness I sensed in him. It was as if there was a deep, black hole in which something with teeth lurked, and if I got too close, it would grab me and drag me down to eat me. I arrived at the Throne Room. I made my way up the black, metal stairs, glancing at Vader who did not acknowledge me, glancing at Luke, whose eyes were full of accusation and shock as he stared me down, and then I finally dared to meet the Emperor’s burning gaze. He smiled. Not a nice smile. It was full of evil and contempt, power and murderous desire. Pale light glinted off his rotten teeth. I repressed a shudder. I stood by the left of my father’s chair. Vader was on the right. He hated me. I could sense it. Luke almost hated me too. It occurred to me that my father wanted this, so that I could assist in the turning of Luke to the dark side. Luke gave me one more disdainful look before turning back to the viewport. Out in space, the battle was raging between Imperial and Alliance ships. “…now witness the firepower of this fully armed and operational battle station!” I heard my father say. And then it started. A few more taunts and Luke was ripping his lightsaber off the Emperor’s chair, swinging. I cried out, No!, before I even realized it. And Vader interjected his red blade to block Luke’s green one. They fought. The Emperor laughed. I stood helpless. There was an uncontrollable urge to run out there and stop them, father and son, from cutting each other down. Then Luke yielded, briefly, flying up to one of the higher-up walkways. Vader let loose his blade, vibrant red slicing neatly through black metal, sparks flying, and Luke’s platform crashed with him on it. I moved forward instinctually, but the Emperor grabbed my wrist—knobby, cold fingers wrapping like an iron shackle. “Wait, my child,” he murmured, his voice like a whispery husk. I could feel Luke’s fear and pain and hopelessness. He was failing. And I couldn’t help him. And then a sudden rage built up from beneath the Throne Room’s floor where Luke was hiding and Vader was hunting. The rage was followed by a scream so strong it cut through the air as hot as a laser from a lightsaber: the word Never! And then Vader was being overthrown by Luke wildly swinging his saber in every direction. One blow after another blow. Until Vader fell to his side against one of the bottomless shaft’s rail guards. Another blow, swing, crash, slice—Luke sheared through Vader’s right hand, it and the red lightsaber disappearing down the shaft. 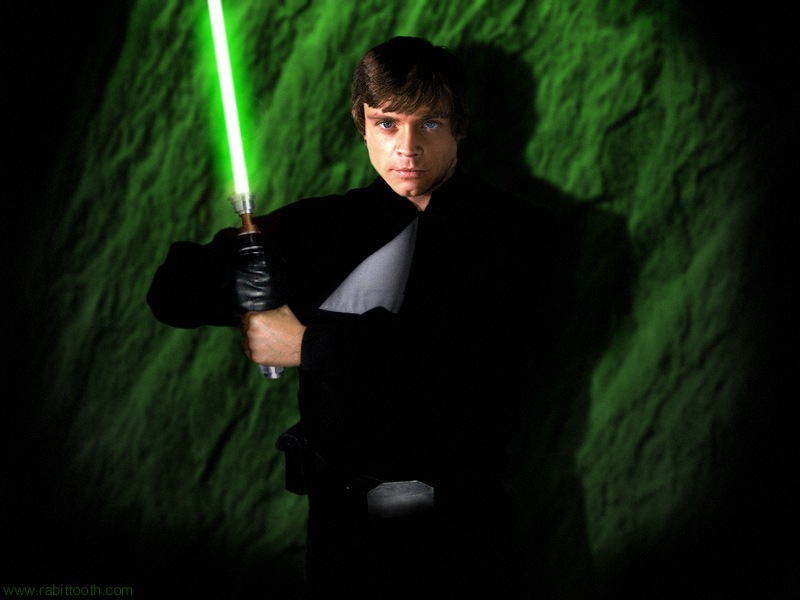 Luke pointed the tip of his green blade beneath Vader’s mask. Silence. I watched my father carefully, who had moved ever so slightly down the metal stairs towards Skywalker. But he was perfectly still. And I felt it—what was coming. An unstoppable wave, dark and suffocating. I knew that if Luke didn’t join my father, he was to be killed. “No!” I screamed out, flying forward to intersect the arcs of lightning that shot out from my father’s fingers. I crashed right into Luke, knocking us both down in writhing electrical spasms. Luke and I lay there waiting for the coming blow. It came all too quickly, the flesh burning under the arcs of electricity. We couldn’t help but cry out in response. Seconds passed like hours, it seemed, and death couldn’t be any slower. The Emperor would stop and start and stop again just to torture us with words of victory. And all Vader did was watch. But through all the painful spasms, lightning licking at my limbs, crawling up my skull and injecting my eye sockets with fiery needles, I could sense in Vader his own torment. His sudden sense of doubt. I thought I heard Luke scream out Father!, but I couldn’t be sure. I was deaf from the pounding in my head. So I yelled out, “Vader! Do something!” My teeth clamped back down together in another violent wave of convulsions. Suddenly, I heard a new voice join the screaming, an old man’s scream, and the burning ceased. I looked up and saw Vader carrying the Emperor—my father—towards the shaft. Lightning crackled down my father and into Vader. And then he released, throwing my father down the shaft, screaming all the way. A few seconds later, a blue energy erupted from the hole of the shaft. Vader collapsed. And my father, the Emperor, was dead. Luke was next to me, watching too. He glanced at me, gasping for breath, and then forced himself up to cradle his own father, the father he never knew, and would never know. I watched, stunned, my skin smoking. It smelled like charred meat and metal. After what seemed like the longest minutes of our lives, we were able to get to our feet, sling Vader’s arms about our shoulders and carry him to a shuttle. The Death Star was about to explode, the evacuate sirens were blaring. Luke and I collapsed at the shuttle’s lip. I ran inside to start up the engines. I don’t know how I knew, but things were starting to just come to me, as if I’d known all along. By the time the engines were warm enough to take off, Vader had died and Luke was dragging his father’s corpse onto the ship. Metal beams and platforms were crashing all around the shuttle as it slowly lifted off the floor. A fireball followed closely behind us as we left the landing bay. Luke and I both gasped in relief. The Death Star exploded in a glittering firework frenzy behind us. And we rode the trip back down to the Sanctuary Moon of Endor in silence. Luke stood at the edge of the forest, sensing Ben’s fear, but couldn’t understand the meaning of it. It didn’t make sense for Ben to fear Lilliya unless she had turned on him violently. And then the possibility hit Luke like bolt of hard energy. Maybe Lilliya was the alien imposter he and Leia surmised she could be. Luke’s hand automatically drifted to the hilt of his lightsaber as he was vaguely aware of other Jedi gathering a few meters behind him. Maybe they felt Ben’s fear too. Ben hadn’t expressed fear since the death of Jacen, so feeling it ripple through the Force was shocking. But before Luke decided to run in there after him, Ben’s figure finally broke free of the dark jungle. And in his arms was an unconscious Lilliya, sickly white with an odd tinge of blue. Still refusing to use levitation to carry it with you, I see, Luke thought. “Sori, C’obin, retrieve the attacker’s body and bring it to the science lab,” Luke gestured to the two Jedi Falleen standing side by side. Without a word, they unhooked their lightsabers and disappeared into the jungle in the direction Ben instructed. Ben looked very worried as he approached his father with Lilliya cradled. “I can’t tell if she’s dying or if she‘s already dead,” Ben spoke quietly so the other remaining curious Jedi didn’t hear. Luke observed the main wound, a deep bite mark, on her shoulder. The bleeding had stopped and it was already blackening over. She didn’t look like she was breathing. 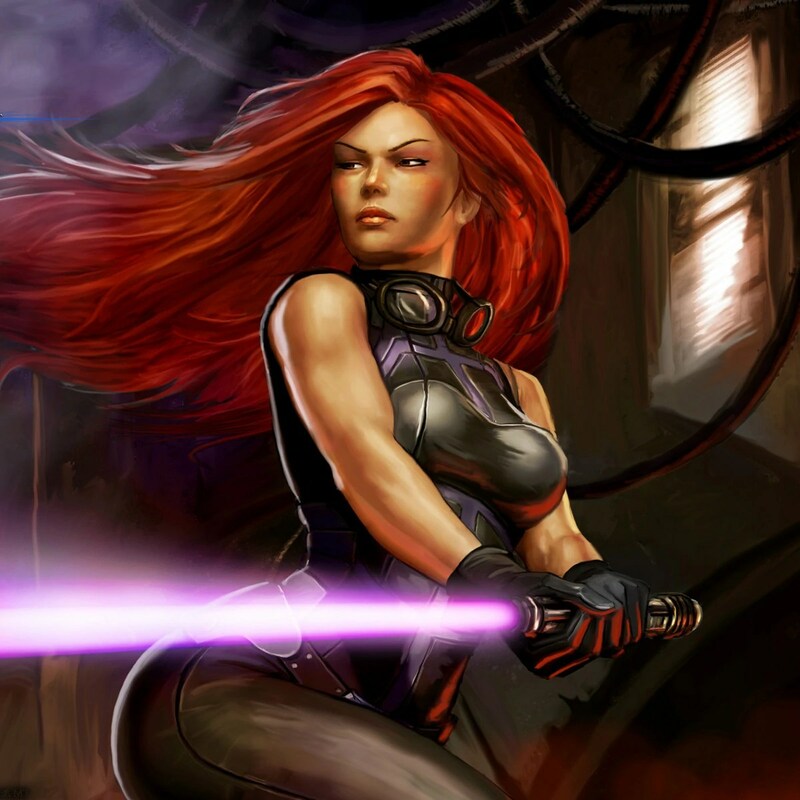 Uhala was the leading Jedi Healer on Ossus and had brought many of those near death back to perfect health. She was also the first-ever Chiss to be a Jedi Master. Luke wasn’t sure how she could handle someone invisible to the Force, but there wasn’t much of a choice at this point. Ben laid Lilliya down on the white bed. Uhala was already there wrapping herself in sterile robes. 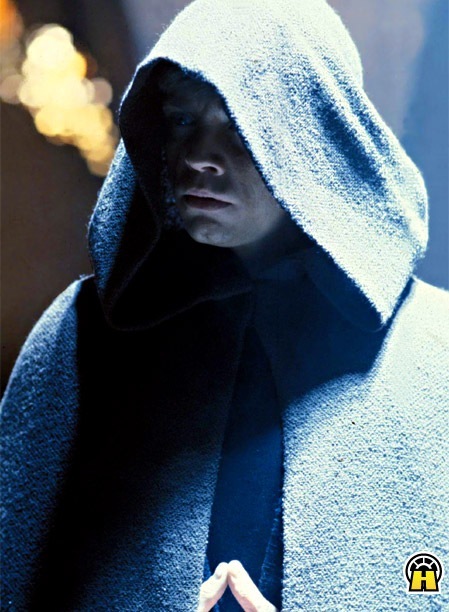 Luke stood outside speaking quietly into his comlink. “How bad?” Ben asked as Uhala scanned her. Her blue skin glowed under the bright lights and her red eyes flickered at Ben briefly before settling down on Lilliya’s bite wound. “Scans say she is alive, but the venom inside her has paralyzed all functions,” Uhala said, her tone betraying no emotion. “It won’t be hard to extract the venom from her body. She should be fine, as far as I can tell with just these instruments.” Uhala gently probed the wound with a gloved finger. “Fascinating…” she murmured. “What?” Ben said anxiously, glancing from Luke standing outside deep in conversation and Lilliya’s paralyzed form. “This wound seems to already be healing itself. I will sterilize it anyway,” Uhala shrugged as she gathered solution and dressings to wrap the bite mark with. Ben gazed down at Lilliya’s shoulder and noticed how drastically it had healed. When he had found her, the shoulder was oozing blood. The wound was not only scabbed up, but the skin around it was no longer inflamed or bruised. “Is that also bad?” Ben asked, feeling like an amateur with this medical stuff. Uhala shrugged again, barely glancing in Ben’s direction as she began to wrap the wound. She grabbed another needle-like instrument and began to hook Lilliya up with a computer. “This will detect the venom from the blood and extract it from the body,” she said and Ben knew she was just humoring him. Uhala never spoke unless she really had to, but she could sense his unease. He was nervous about Lilliya dying because he felt guilty. And this irritated him because he didn’t want to feel guilt. Uhala nodded in confirmation. Ben seemed strangely reluctant to move away from Lilliya’s bedside, but followed Luke out anyway. The two Skywalkers walked side by side silently down the long corridor then through a metal doorway into the labs. Sori and C’obin stood around a dissecting table with the strange white humanoid already being disassembled. Luke and Ben stood on opposite sides of the table as the green-skinned Falleen Jedi stopped their work. “Master Skywalker, may I explain,” Sori, the female Falleen, spoke. Luke’s brow furrowed as he stared down at the white face and wide black eyes. They seemed to be staring back at him, watching him. “Are you sure this thing is dead?” Luke asked, looking up at Sori. Sori and C’obin looked at each other again and shrugged. Luke and Ben exited the lab and continued back down the corridor toward the infirmary. “I got a bad feeling,” Luke murmured. 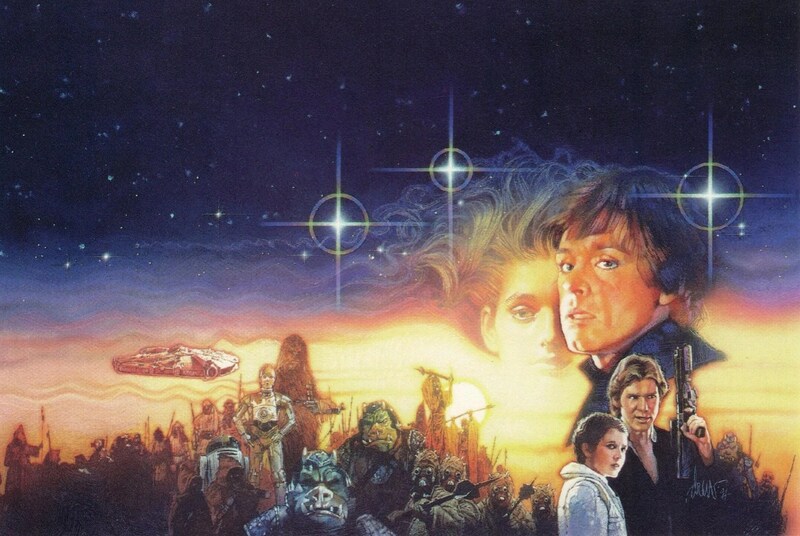 “It is a big galaxy,” Luke said mostly to himself, looking deep in thought. Ben crossed his arms. “I thought we’d figure this out together,” he said. “We will figure this out together, but right now I want you to rest while I get a hold of Leia and talk to her first,” Luke said more firmly, placing a reassuring hand on his son’s shoulder. Ben looked as if to argue, but held back. Instead, he nodded briskly, spun around and disappeared down the corridor. Luke waited until Ben was out of sight before he returned to the med room where Uhala continued to examine Lilliya. Luke hated to be so secretive with his son, but he wasn’t ready to explain to him that Lilliya wasn’t human and that they didn’t know what she was. Luke had already contacted Leia, letting her know that Uhala would soon find out that Lilliya wasn’t human and that meant that Lilliya’s secret would then be known by one more person. And this made him uneasy. He wasn’t sure how long they could keep it a secret, or if they needed to at all. Perhaps Lilliya did know she wasn’t a human. Perhaps she already knew what species she was. Maybe they just needed to ask. But what would asking bring? “How is she doing?” Luke asked Uhala. “Quite well, surprisingly,” Uhala looked up with her bright red eyes. Uhala glanced down at Lilliya’s peaceful form. Her skin had already brightened back to its normal creamy hue and they could see her chest moving in shallow breaths. “Probably within the hour,” Uhala answered, her gaze seeming to hide something. “No,” Uhala said bluntly. “The computer could not recognize the venom. The computer also could not recognize Lilliya’s blood, therefore was not able to determine what to extract as a toxin. It determined her as…unreadable.” For a female Chiss with barely any emotion, she looked as though she was actually excited by this information. But how? Luke thought. Maybe she was able to go into a Jedi healing trance before she went unconscious. But that didn’t make sense when she didn’t even know how to lift a rock with the Force. “Uhala, you mustn’t tell anyone what you have discovered, not even Lilliya,” Luke said. 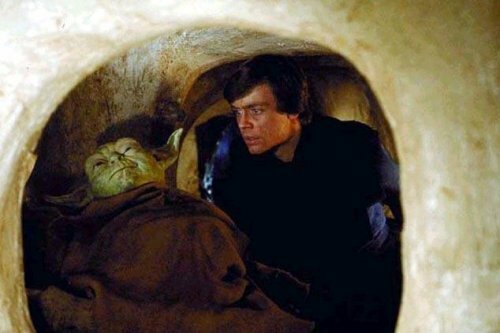 “I understand,” Uhala nodded professionally and as Luke exited the med center, he suddenly realized just how much he didn’t understand. Maurel watched a holo image of a man in black with shocks of gray above each ear frown then disappear from view. “That is Luke Skywalker, the Grand Master of the Jedi Council,” Captain Jorn explained as they watched the images change from a white ceiling to a green-skinned Falleen female and male. A few minutes later the image was lost to darkness, probably, Jorn surmised, by the Falleen Jedi disabling it. Maurel had a grim smile on his chiseled face, but remained introspective. “Was it her?” Captain Jorn asked, his sad, wrinkled face looking older now under the control of the Chrystallite Regime. Maurel turned to a computer pad and read the readouts the probe droid had sent out before the Jedi, Ben Skywalker, terminated it. The droid’s mission was to identify and capture the woman Maurel was after, and if the droid couldn’t do the latter, then at least the identification readouts would be enough. And as Maurel read the DNA readings taken when the droid bit the girl, his smile broadened. “Reverse image back to point one-oh-five clicks,” Admiral Maurel commanded, and the holo images reversed back to a close up image of the woman backed against a tree. “So you gonna eat me, or what?” the woman had said, right before the probe droid bit her. “Back point one-oh-two,” Maurel said again. And the image showed a longer duration of the woman’s appearance struggling against the tree. Gold-blonde hair streaking with silver as darkness came, flawlessly ivory skin, one sapphire eye, one emerald and within the emerald was a diamond scar flashing a dark purple. Dark purple, Maurel knew, meant fear. But only Maurel would know this. He watched the image of the young woman with a ferocious hunger, listened to the recording of her voice say, so you gonna eat me, again and then listened to her scream. The scream seemed to send Maurel a thrill of excitement, his sapphire eyes glittering bright. “Set course for Ossus,” Admiral Maurel finally said. Then he turned to give Captain Jorn a fiery glare. “That’s her,” he said with a slow smile. Captain Jorn nodded and turned to his second in command, giving the order. Maurel continued to watch the recording, repeating the same image of the young woman, and Jorn turned to leave him to his disturbing pleasures, all the while feeling sick to his stomach. Jorn had never seen anyone take so much pleasure in hunting someone. Even in his younger days, while growing up in the Imperial Remnant, the Moffs never showed such animalistic desire to kill. But Jorn could have no opinion. Jorn had no freedom. Jorn was Maurel’s pet, along with all the other human captives forced into the Chrystallite Empire. They were all pets. And Jorn couldn’t help but wonder how long it would be before Maurel decided he had no more use for them and kill them all. As soon as Lilliya hit the edge of the jungle and was out of the sites of Luke and Ben, she made run for it. Running felt good, felt the wind on her face, felt the branches brush away her tears. Running felt just that—running from her past, from her future, and definitely from her present situation. After a mile of pure sprinting, she stopped, winded, but feeling rejuvenated and free. She was deep within the jungle called The Forest of Ood. When the Jedi students created it, as they did with all the other green, blue, and orange planet life not inherit of Ossus, they named the forest jungle after the ancient Great Jedi Master Ood, whose spirit had resided within a tree on Ossus for centuries until Luke came upon it decades back. Ood’s spirit was only a memory now, remembered by Luke Skywalker and other students of the Academy. And Lilliya had just come to learn about him briefly during one of her long conversations with Forra on the history of Ossus. Now, as she stood leaning up against a tree, alone and deep within the darkening jungle, she imagined what it would be like to talk to a Jedi Master in tree form. She wondered what wise things Ood would tell her. Maybe Ben was right, about her not belonging. She knew that was the root of it all. She had his father’s full attention, was his prized, mystery artifact. Ben was cast in the shadow she did not want to create. But maybe Luke was right. Maybe learning the ways of the Force was something worth while. Just maybe…it would reveal something about herself she desperately needed to know. Still leaning back against the ominous tree, the sharp edges of its bark gently pressing into her jumpsuit and bare skin, Lilliya watched the tops of the branches sway slightly in the breeze—a breeze she could not feel from where she stood—but felt a subtle warmth spread against her chest bone. Lilliya closed her eyes and soaked in the familiar heat she knew was radiating from her crystal buried underneath the jumpsuit’s shirt. It felt like home for a moment, the peace, the quiet, the movement of the trees and other life forms around her. Although, she noted, it was quieter than she would have expected for a jungle. And her crystal never glowed for fun. Lilliya let her eyes slowly open, leaning forward and away from the tree. Out of the corner of her eye she saw a white figure amidst the dark greens and blues of the jungle trees. She turned to look. Standing just a few meters to her right stood a humanoid-like creature. Very gaunt and very white, it wore no clothing, but its body shivered with every twitch of a muscle. Its mouth hung open slightly revealing nothing back a black gape, and its eyes met hers with an unnerving, unblinking black glare. It looked like a feral white human. And it stood very still. Lilliya didn’t move a muscle. She found that she almost couldn’t. She stood frozen, staring wide-eyed, waiting for it to make a move. She recalled for a second that she didn’t even hear the white humanoid approach in the first place. It didn’t move. It continued to stare with its wide black eyes, hands hovering beside its hips, long, gangly fingers stretched like claws. Lilliya thought about trying “hello,” but then already knew its intent. Its malicious stare said it all. Still frozen in place, Lilliya forced herself to unhinge her taut muscle, readying for a run. She was a good runner, at least she had that to be confident about. Her foot shifted about an inch in the other direction, knocking a tiny pebble, barely making a sound. The white humanoid darted forward in a flash coming straight at her. Lilliya was so surprised by the speed of the creature that she tripped over her own feet in an attempt to turn and run, falling flat on her back, her legs sticking up in defense. The humanoid flashed to her side, stopping immediately at her feet, and looked down. Its mouth slowly opened baring silver metal-like teeth, terrifyingly sharp. Lilliya let out a shout of horror and defiance as she punched her feet into the chest of the white creature, knocking it back a few paces. But it didn’t fall. Lilliya rolled back and onto the balls of her feet, rising slowly in a combat stance. The creature stood hunched now, fingers clawing the air. The humanoid bared its teeth like an animal. Lilliya knew she wasn’t prepared to fight something she didn’t know anything about, especially being weaponless. But that was the point of combat training, right? The thing lurched at her and Lilliya charged, double kicking in the air towards its head. It moved with lightning speed—literally a blur of white—to the left side of her and punched her in the left kidney. She cried in agony and surprise, clutching her left side for an instant. The thing tilted its head to the side as if confused by her scream, then came towards her, mouth wide open. Lilliya swung her fist up under and to the left of its chin, and felt her fist crack, as if it just contacted with durasteel. She had to bite her lip to swallow another cry. The humanoid retaliated by swinging its white fist towards her temple. This time she ducked and ducked again when the humanoid came for another swing. By the second dodge, she punched it low in the stomach, turning slightly and ramming her elbow into the center of its chest. It backed away miming a howl. The humanoid made no sound and she faintly realized it hadn’t from the moment it appeared. And then it rushed toward her, another white blur, something she couldn’t even react quick enough too. It punched her square in the chest with a flat hand, but the force was strong enough to send Lilliya flying backwards and smash against a tree. She slid down, tiny blue leaves littering around her, and spat blood. The humanoid made a sniffing sound and its black eyes widened at the blood on her lips. Ignoring every ounce of pain coursing through her body, Lilliya jumped up, turned and ran, deciding she was no match for this thing…at least without a weapon. She hoped, at least, that she was going in the right direction toward the Academy grounds. At this point, she really didn’t know. And then her hopes were lost as something slammed into her from the left, sending her skidding to the ground. Dirt and debris dug into her bare skin and tore open her jumpsuit. She looked up with bleary eyes and saw the white shape of the creature standing above her, perfectly posed for attack. At this point, Lilliya’s mind was out of ideas. She quickly scurried away on all fours, but the humanoid came at her in a flash, shoving her up against a tree, its fingers like ice, gripping her arms. Lilliya closed her eyes and pushed all of her will into transporting her form from the vice-grip of the creature. She opened her eyes and was disappointed. She was still pinned against the tree, face to face with the humanoid. She thought this would be an ironic way to die. Not in battle, not from a Jedi too lightsaber-happy, and not from Ben Skywalker. But from an animal lost in the Forest of Ood. Fitting. It peered at her with its large black eyes. Lilliya could almost see her reflection in them, saw her dirtied face, her resignation, and for a moment, its eyes only seemed curious and gentle. It moved closer, their noses almost touching, and Lilliya cringed. But there was no smell to the humanoid. And no sound. Interesting, she thought. “So you gonna eat me, or what?” she said, a little surprised she was so casual about the whole thing. As if to answer her question, the humanoid leaned forward and bit her above the left shoulder. “Ah!” she screamed in pain, the scream so loud it bounced off the trees and into the distance. The humanoid bit down deeper too, sinking all the way through skin, muscle and nearly to the bone of her shoulder. This made Lilliya’s scream raise in pitch. She wanted to raise her hand to slap it away, but found she couldn’t move. The pain was searing hot, burning through her veins, but that wasn’t why she couldn’t move. She was paralyzed. Before she could even understand what was happening, the humanoid stood up, blood dripping down its chin, a stark contrast to its blinding white skin, took her by the left arm and started dragging her one-handed. Something fast and dark flew above and past her, but out of the corner of her eye, she could see a glowing blade. Lilliya glanced up and saw the humanoid’s hand was no longer holding hers. Whatever was happening was happening outside her field of vision. She could barely make out the muddled humming of something powerful, but that was the only sound present. It could have been the ringing in her ears for all she knew. And she didn’t know how much longer she could stay conscious. The venom that was injected into her was either going to kill her or knock her out to be a convenient dinner for this thing. She had no idea what to expect. Suddenly she saw the white shape of the humanoid fly past her right, smacking against a tree. And a black boot stepped into her site, a barrier between her and the humanoid. The humanoid charged in a flash again, coming straight for the person in the boots. But this time, it charged right into the glowing blade of a lightsaber, skewering itself through the center of its chest. It stood still for a second, shivering and twitching, and finally its black eyes rolled white, falling backwards to the ground. The person in boots moved forward a bit, peering down at the humanoid, making sure it was dead, Lilliya was certain. And then, whoever it was, hurried over to her paralyzed form and knelt down to her. Lilliya was surprised to find herself looking straight up into the distraught face of Ben Skywalker. She could tell he was trying to check her pulse and see if she was alive, but she couldn’t feel his fingers on her. His mouth moved and it looked like he was saying her name. Lilliya just stared back, feeling the darkness overwhelm her consciousness. And then she was out, the last image in her mind being the anxious blue-green eyes of Ben Skywalker. “Lilliya!” Ben exclaimed, shaking her limp form in a sad attempt to revive her. He glanced hurriedly at the white form of the humanoid. He was certain it was dead, but it unnerved him that he couldn’t sense the creature in the first place. Just like Lilliya. His gaze turned back to her pale form and noticed the deep bite mark above her left shoulder. Her eyes were barely open, but she wasn’t responding, though he was confident she would live. Her pulse was slow but steady. He cursed Lilliya for being invisible to the Force. It would be so much easier to monitor her life if she was apart of it somehow. And then he cursed himself. For everything he knew he’d done wrong. But there wasn’t time for self-pity. Ben lifted Lilliya into his arms with ease and ran at a Force-sprint back to the Academy. Though he’d denounced the Force in his life, he knew very well how to recall it when necessary. And he was quite aware of the hypocrisy of it all.